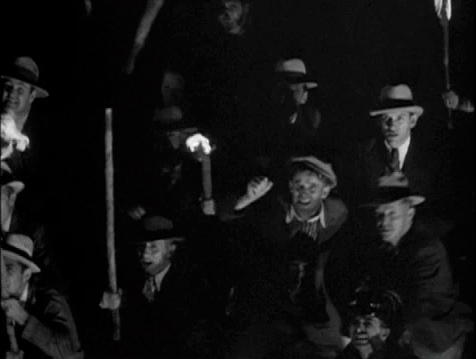 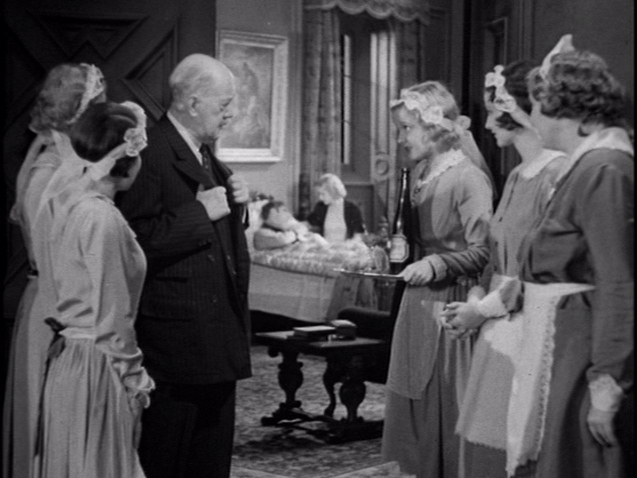 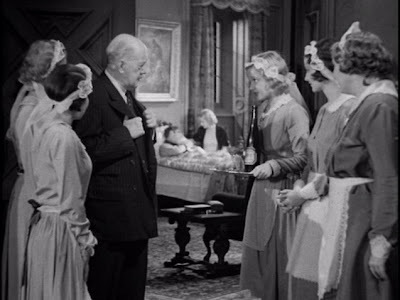 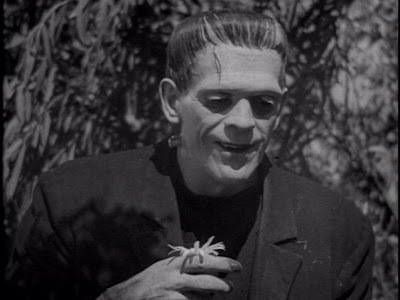 Director James Whale sure knows how to throw a dummy -- or -- more precisely -- knows how to let Boris Karloff throw a dummy. 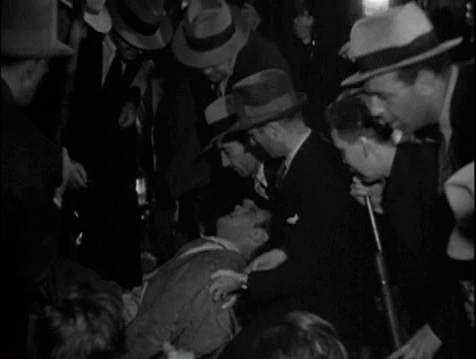 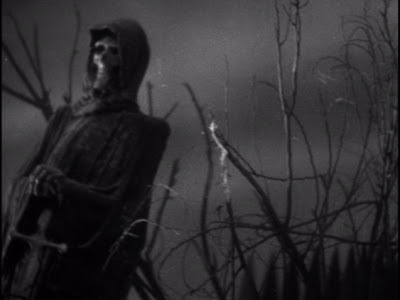 A deceptively simple effect (the dummy-death), nevertheless receives a careful layering of abstractions/distractions/deceptions/substitutions and transformations -- both thematic and elemental -- visually represented in the form of statuary, shadow, silhouette, skeleton, illustration, and photograph -- that form an artful, cinematic variation on the old "shell game" in Whale's two-volume existential essay on human creation, death and rebirth. 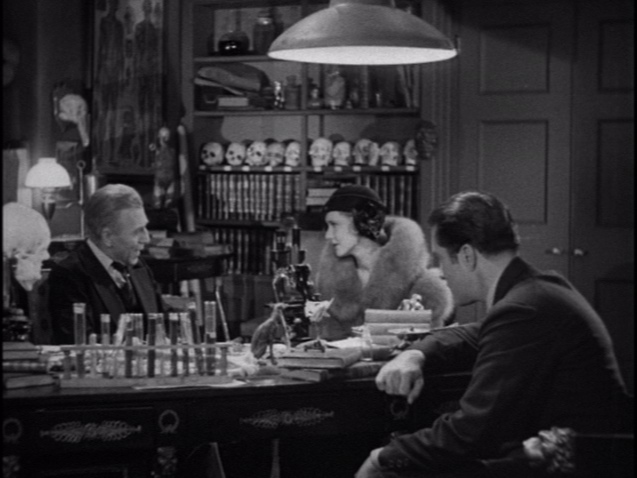 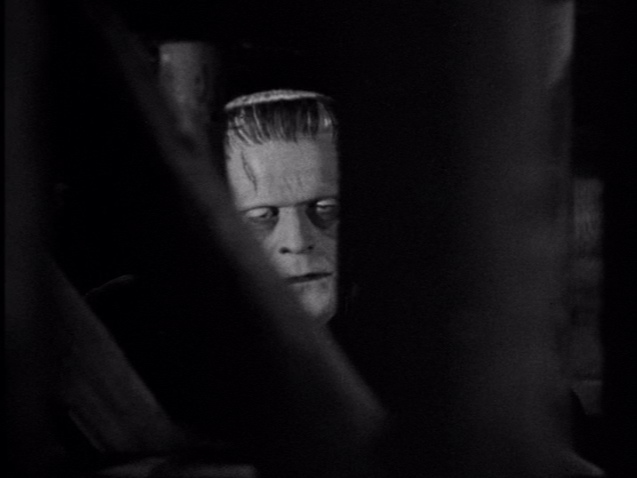 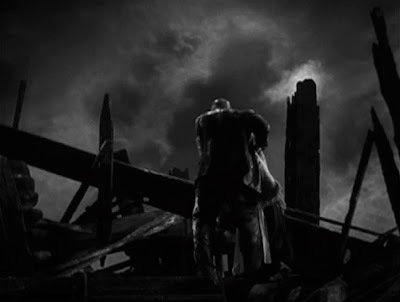 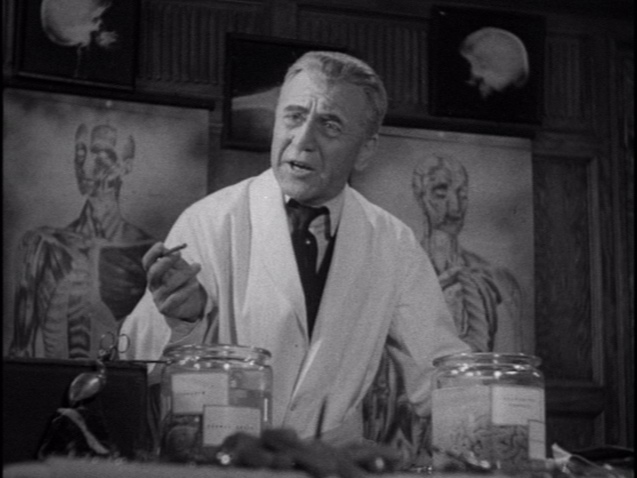 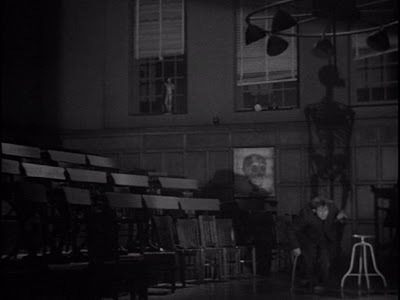 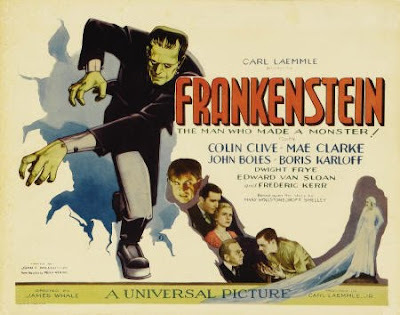 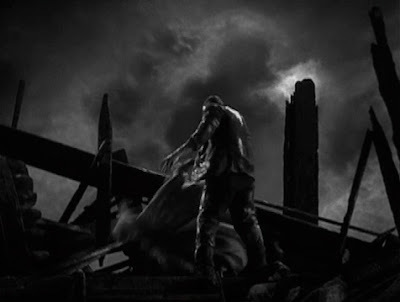 The monster (Karloff) is, in concept and design, a collection of inert matter that has has been re-assembled and re-infused with life by Dr. Frankenstein (Colin Clive) and, as such, is a kindred spirit of the cinematic FX-dummy from the outset. 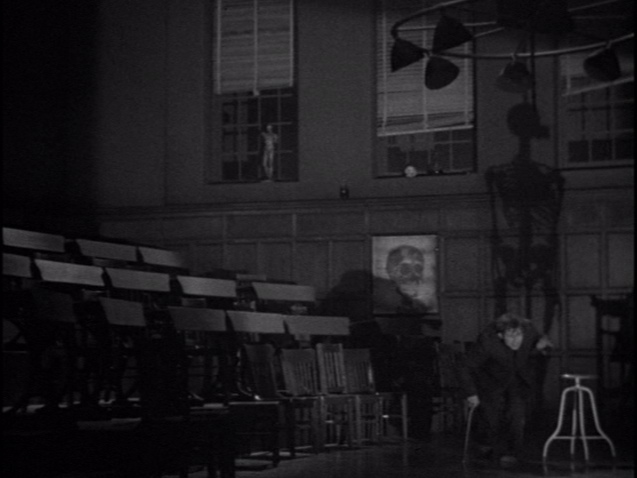 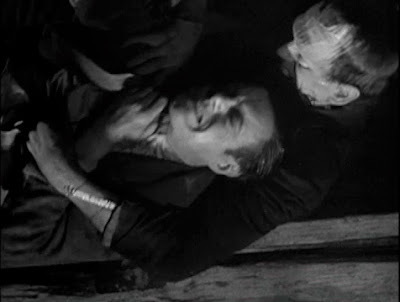 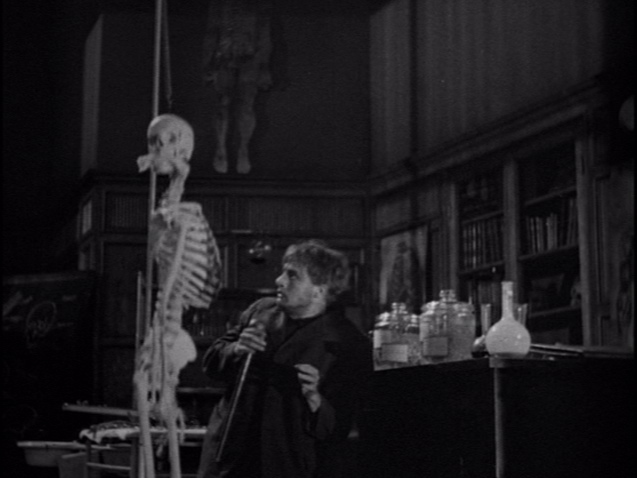 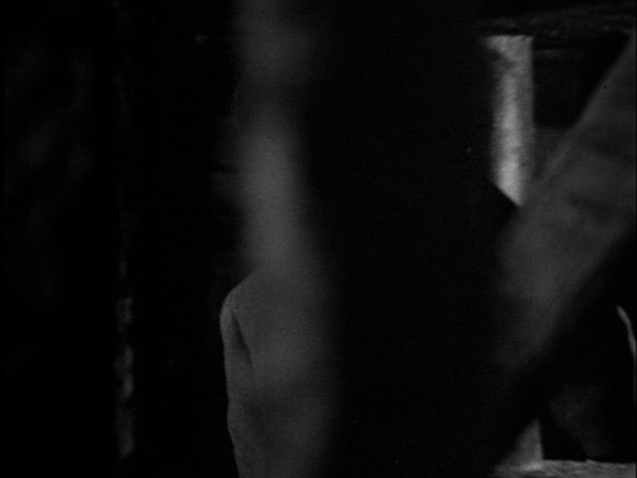 -- it is only at the film's conclusion, where the monster's creator becomes the dummy. This literalizes Whale's philosophy that dummies always deserve what they get and get what they deserve. 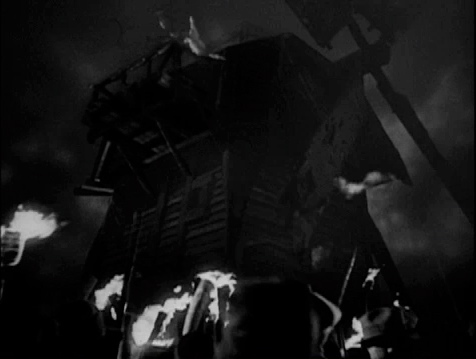 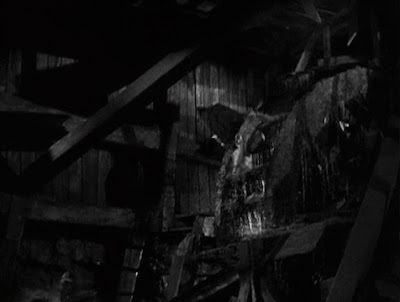 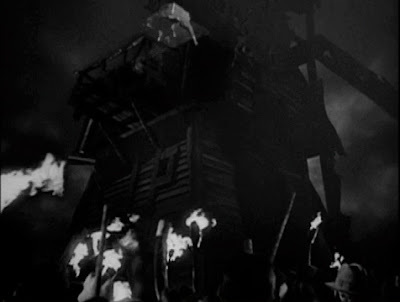 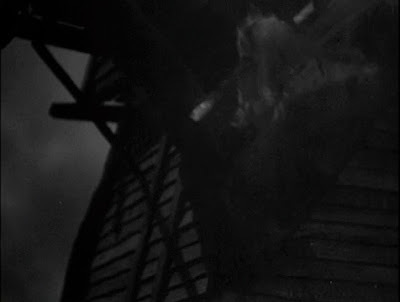 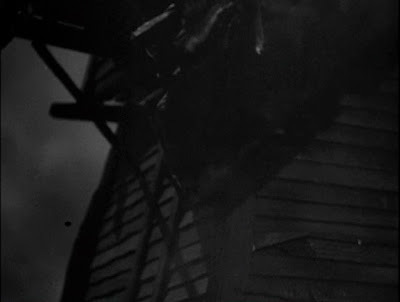 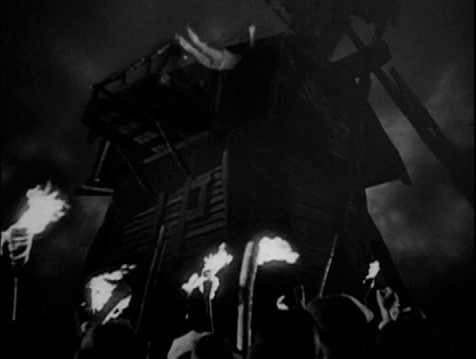 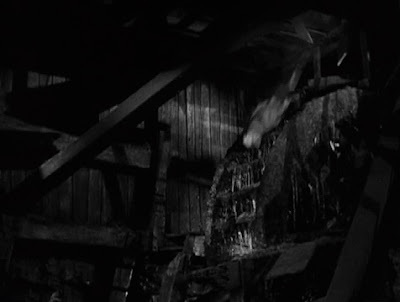 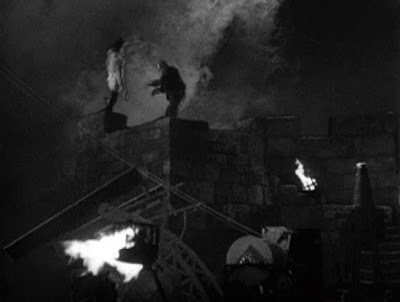 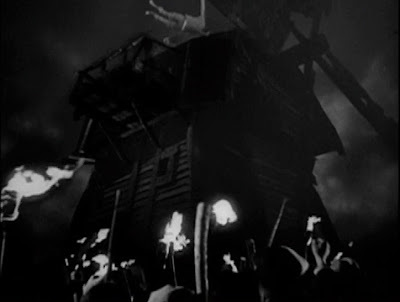 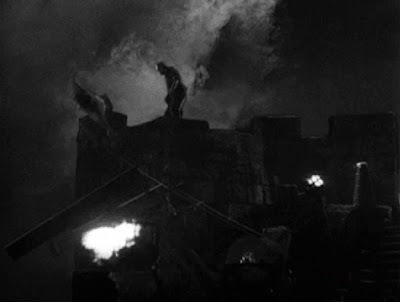 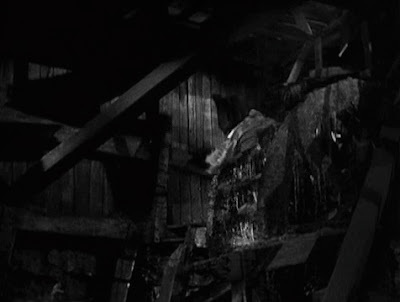 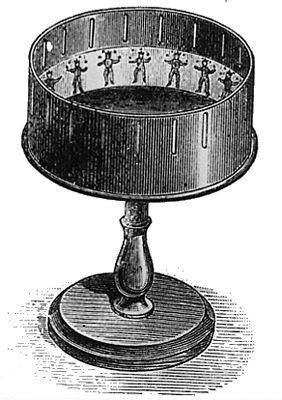 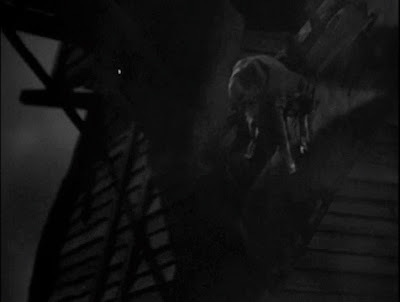 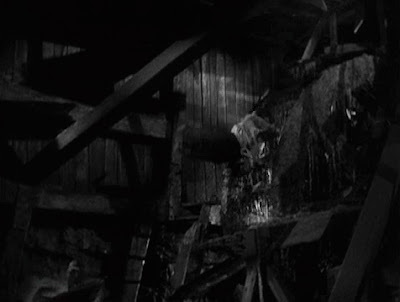 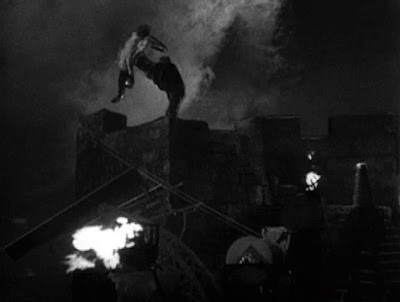 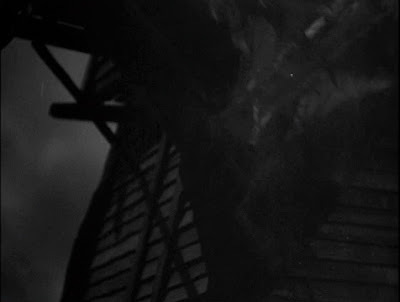 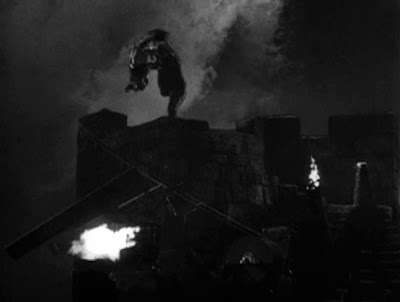 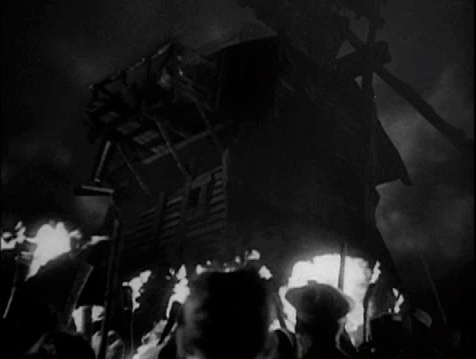 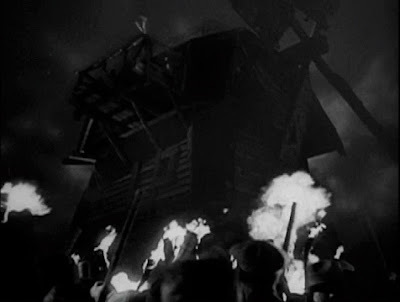 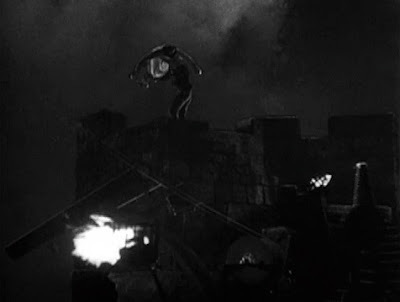 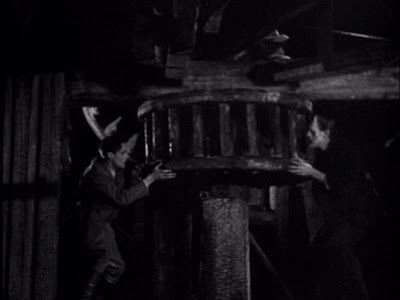 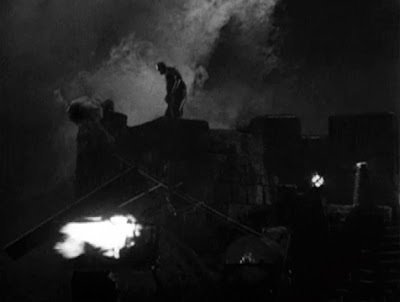 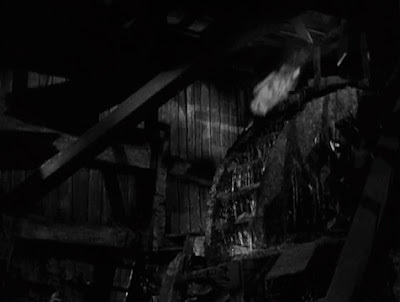 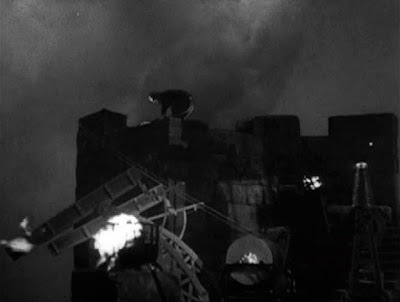 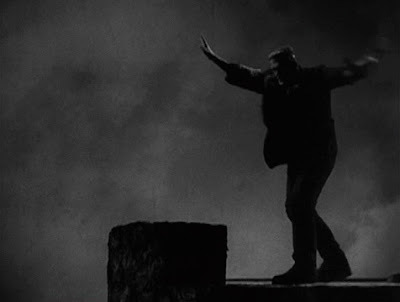 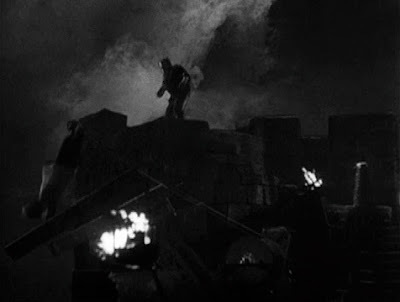 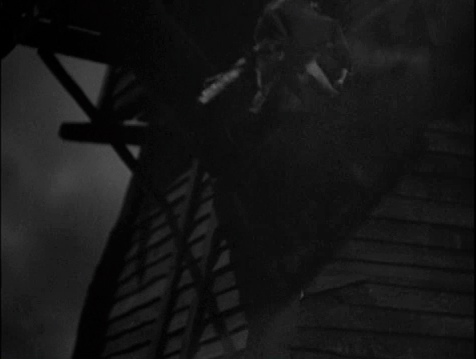 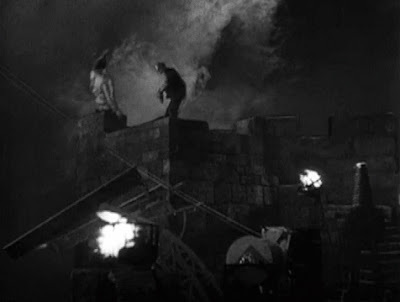 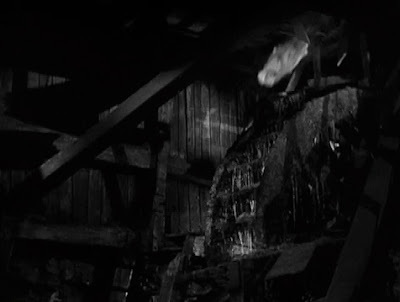 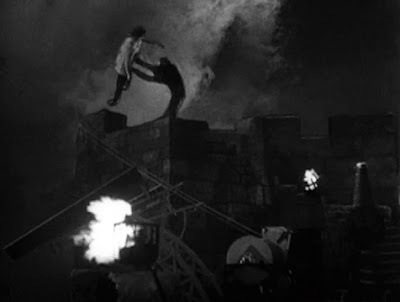 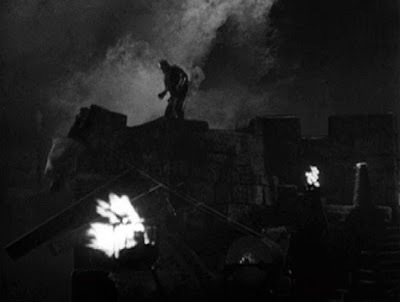 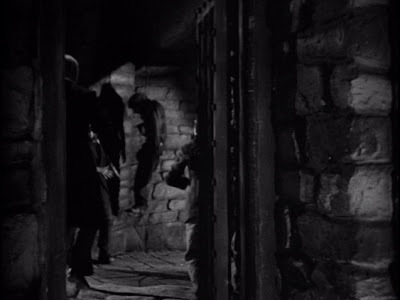 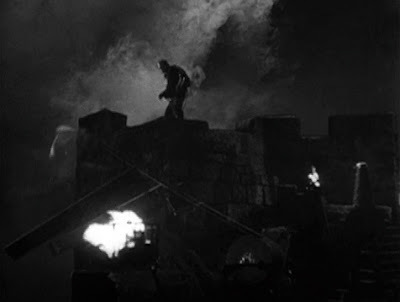 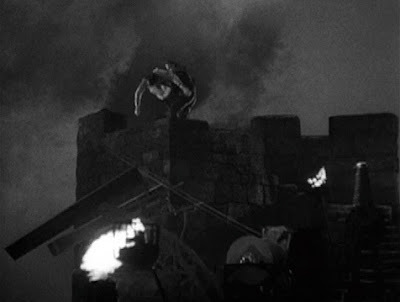 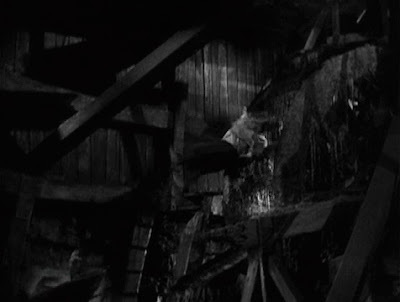 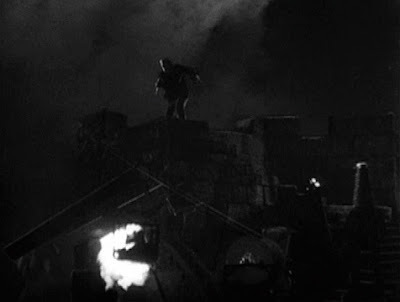 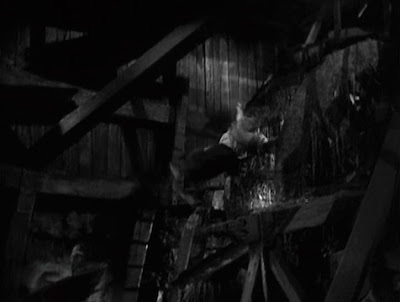 The Zoetrope inspired imagery during the windmill sequence links the director's powers of mechanical, cinematic animation with Dr. Frankenstein's powers of scientific, biological re-animation. 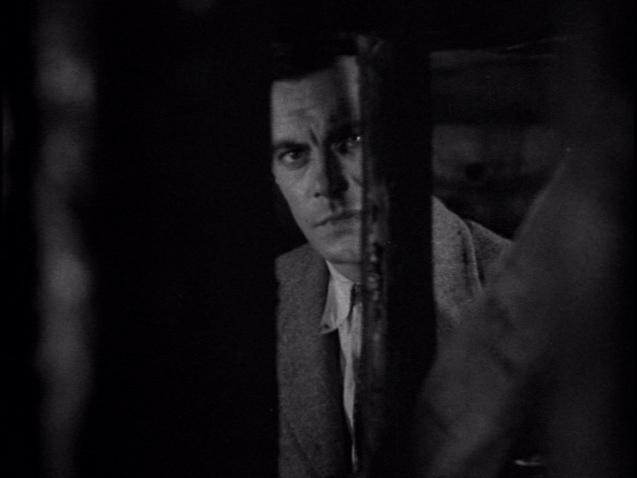 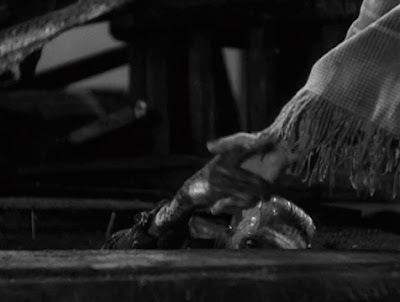 This sequence poetically animates the idea that monster and creator are actually distorted "reflections" of each other, an idea driven home by the doctor's own transformation into synthetic facsimile for his plummet -- a "death" that he, too, emerges from reborn (and presumably virile -- judging from the behavior of the gaggle of giggling maidservants urgently waiting in attendance -- ready to create "natural" children now that he is a married man) in the film's final scene. 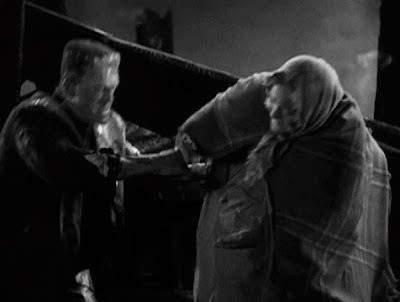 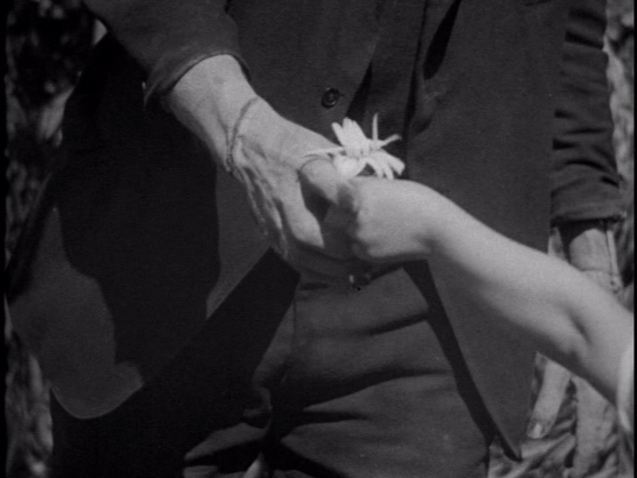 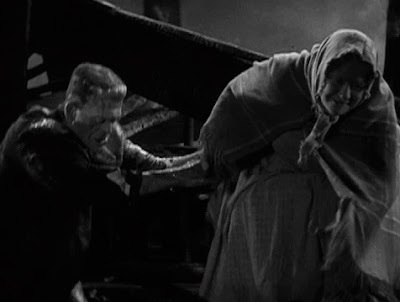 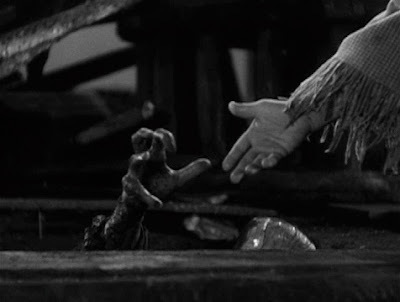 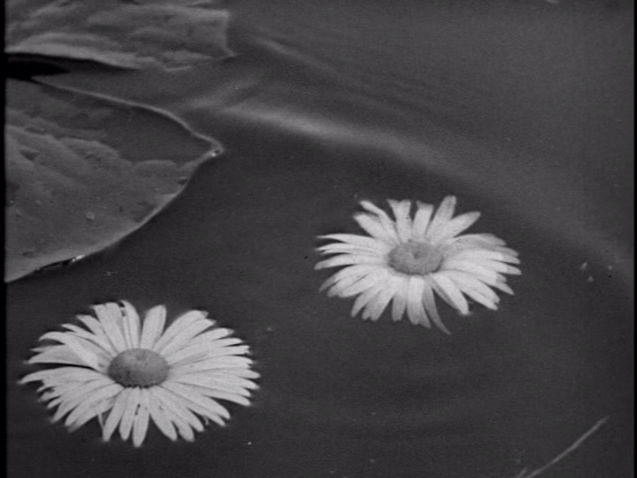 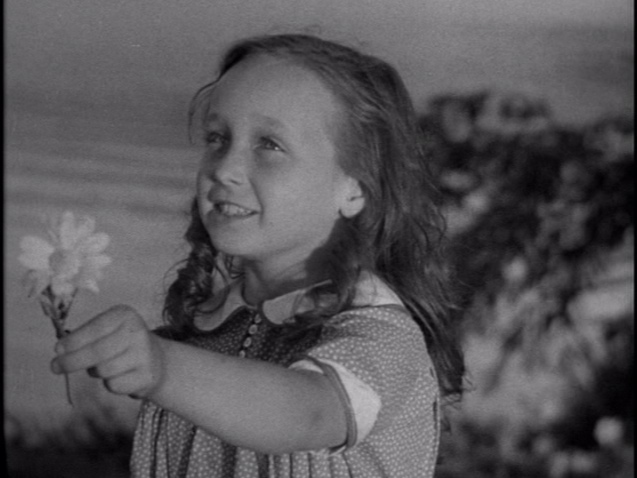 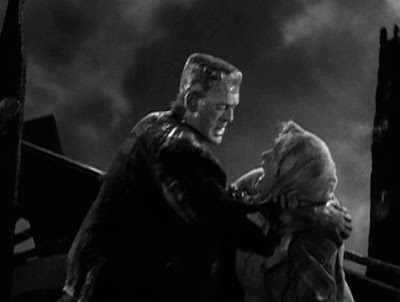 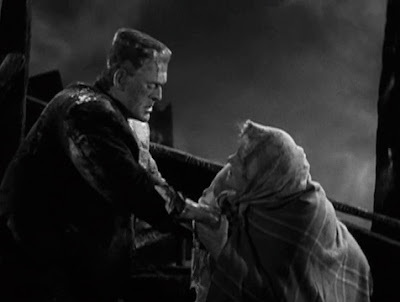 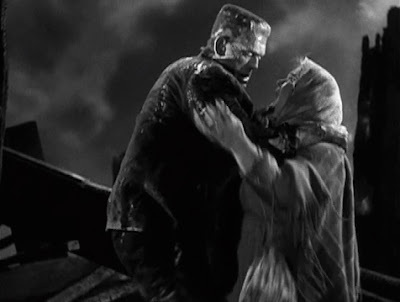 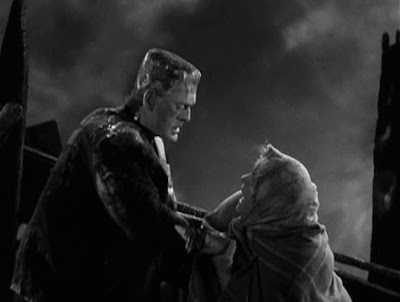 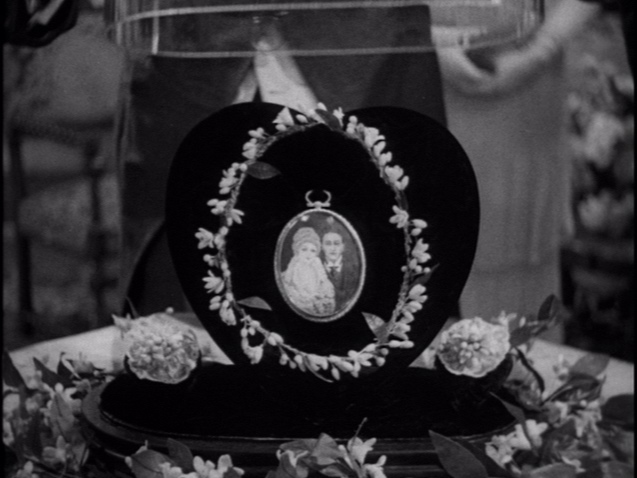 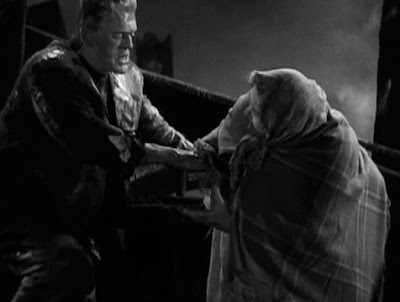 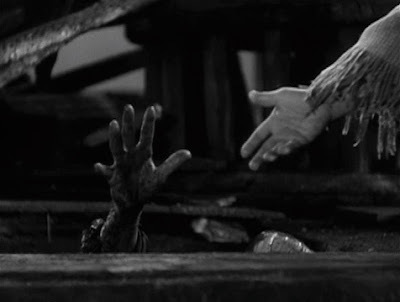 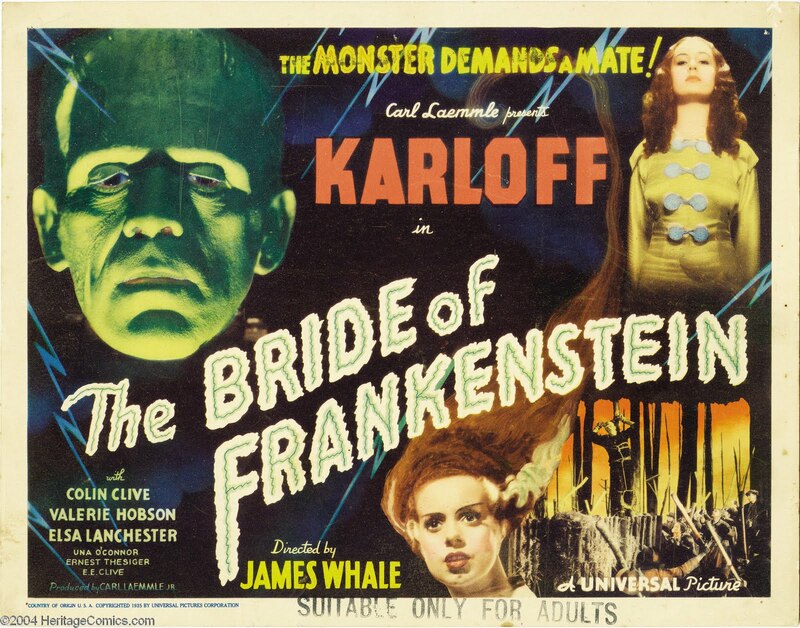 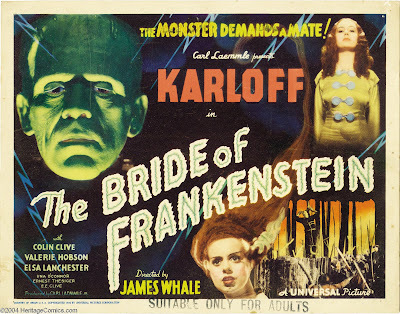 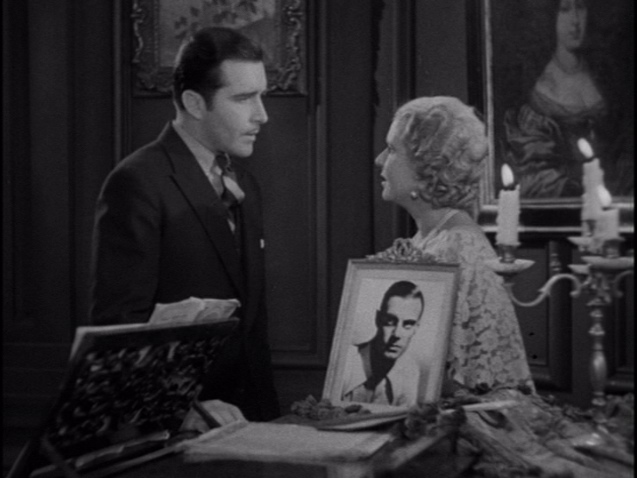 At the opening of the second film, THE BRIDE OF FRANKENSTEIN, the couple who die at the monsters hands are parents as well -- this time of Maria, the little flower-child who tragically drowned while playing with the monster in the first film. 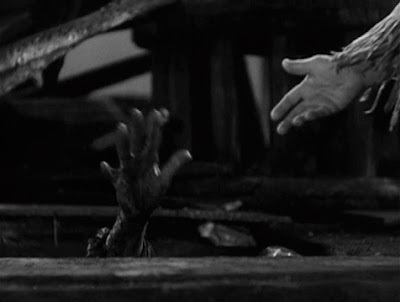 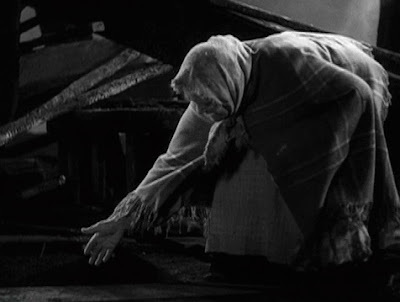 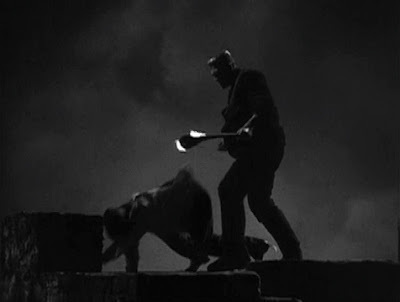 The monster's hand coming up through the rubble is a deception perpetrated upon the wife by the monster. 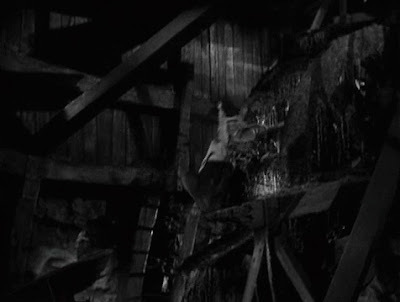 This transformational sleight-of-hand unfolds in a hyper-stylized outdoor environment that includes studio-bound architecture into which the main characters are deposited. 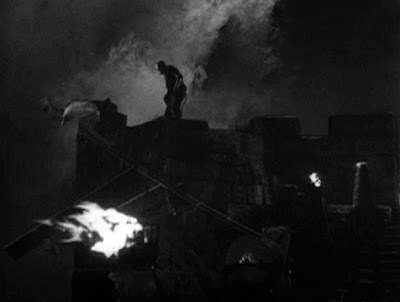 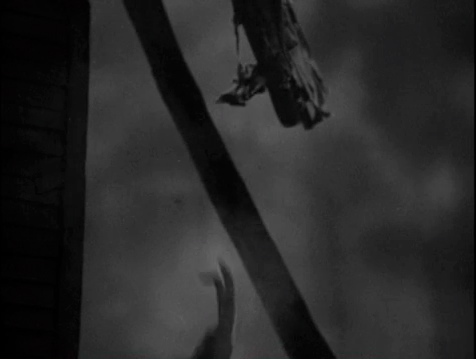 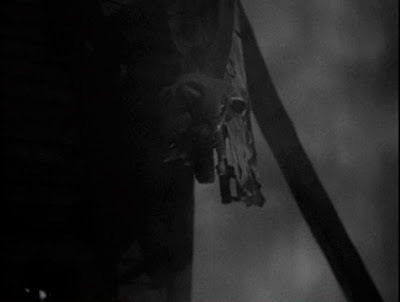 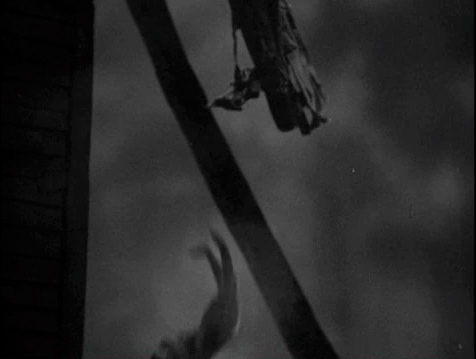 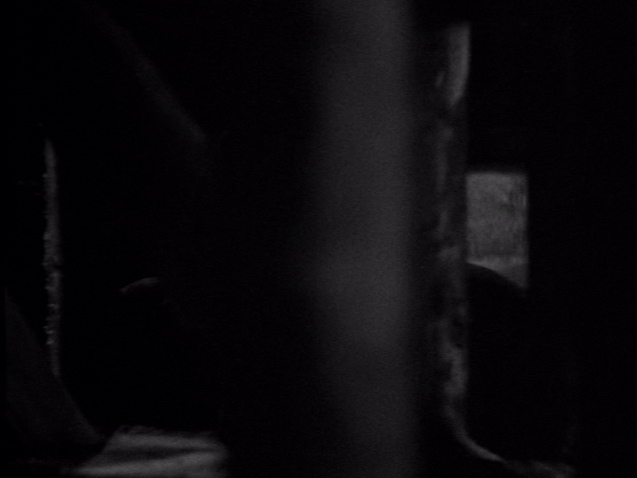 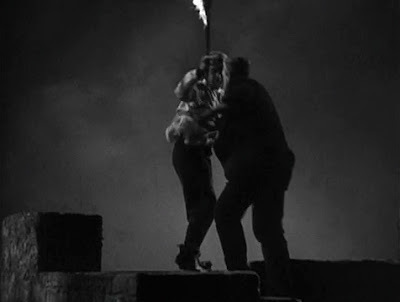 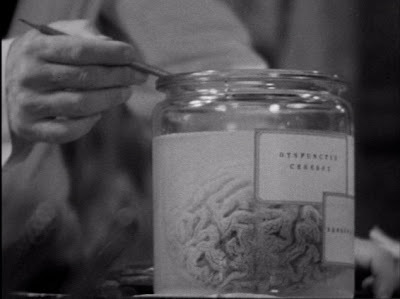 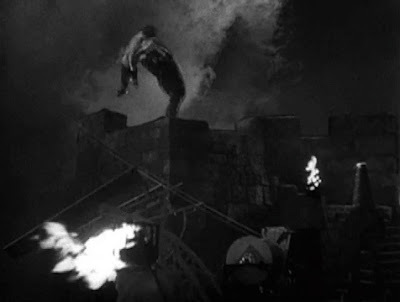 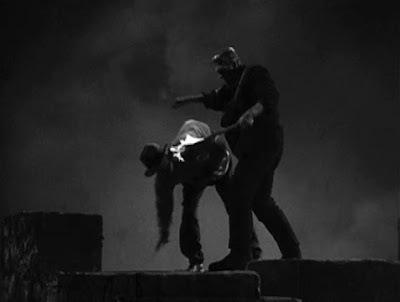 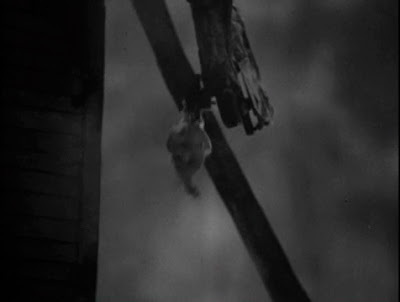 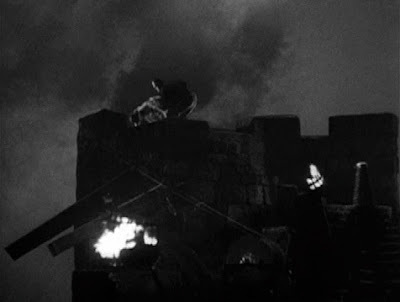 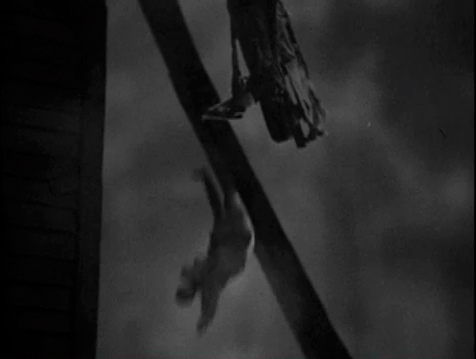 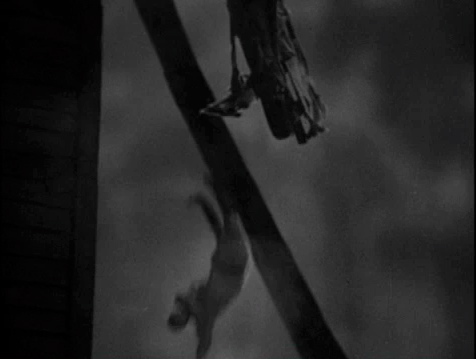 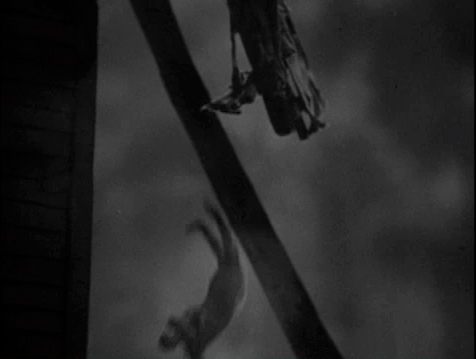 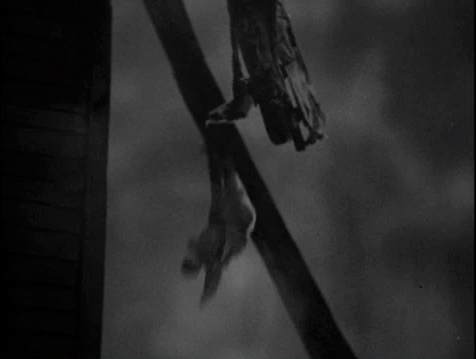 -- here, in BRIDE OF FRANKENSTEIN, Whale bestows a reconstitutional fate unto Frye that perfectly symbolizes the less-than-human qualities that the characters he portrayed in both films embody. 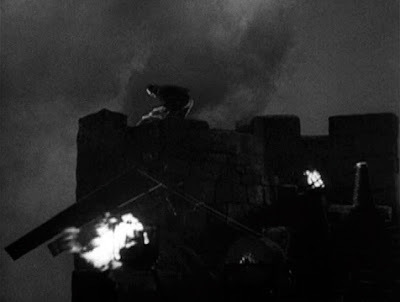 One would think that flying kites on top of a tower in a lightning storm would pose the greatest possible threat to life and limb. 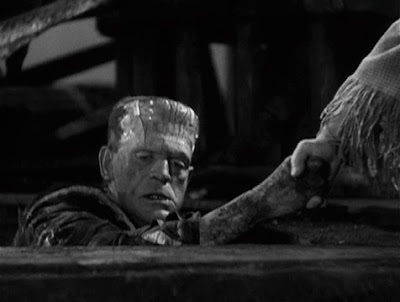 Having already been reanimated from previously deceased, cobbled body parts the Monster is re-reborn, phoenix-like from the fire, transformed outwardly by severe burns into an even more hideous, pitiful creature while transformed inwardly into an even more empathetic, sensitive, "human" monster/ martyr. Gonna roll them Whale bones...!